Coming to the end of 2009 it’s only natural that we might start thinking about where we’re heading in the future. Arthur C. Clarke’s science fiction novel 2010 has cemented the coming year as a landmark in the heads of futurists. 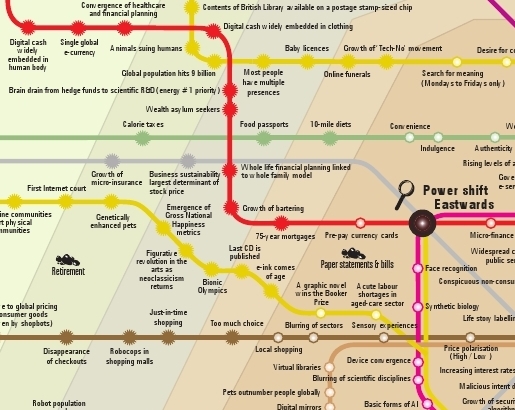 To follow that up here’s a time travel map exploring what might happen in the future, considering current trends. Click on the image for the full map. See the full A3 pdf version at Nowandnext.com. 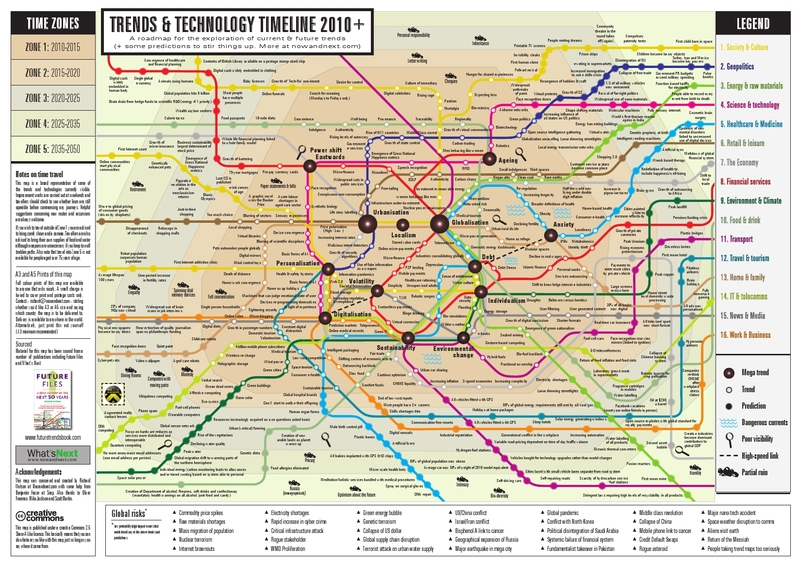 The Time Travel map was developed by Richard Watson at Nowandnext.com with some help from Benjamin Frazer at Snap.